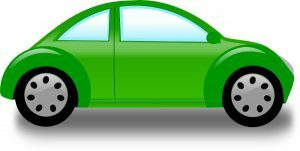 Are electric cars really “green”? As convenient as it is to gas up a car and go, we can’t depend on fossil fuels forever. The carbon within them that’s been stored and removed from our atmosphere for millions of years is reintroduced when we burn them as a fuel source. This contributes to climate change, which is arguably the most pressing issue humanity has faced to date. Nearly a third of all greenhouse gas emissions come from transportation (Greenhouse Gas (GHG) Emissions), calling many nations to encourage their citizens to minimize their impact by subsidizing the purchase of electric vehicles. This then begs the question, are electric cars a “green” alternative to petroleum based fuels? While electric cars as finished products more efficient than their combustion-engined counterparts, their production certainly is not. The process to produce their lithium-ion batteries is quite energy intensive. There are several steps and materials needed for this where the “environmental impact is or may be significant, [including]: production of binders, production of lithium salts, cell manufacturing and assembly, the relationship between weight of vehicle and vehicle energy consumption, [and] information about internal battery efficiency and recycling of lithium-ion batteries based on lithium iron phosphate” (Zackrisson). These batteries only last five to ten years as well, so even more batteries would have to be created. Beyond the physical materials needed to make the cars, there is still the environmental impact of where the energy is sourced. Electricity is still generated largely by burning fossil fuels such as coal, ultimately making the source of electric cars’ power not as clean as advertised. While there may be zero tailpipe emissions, the emissions are just moved somewhere else. There are several fuel alternatives that should be considered. Hydrogen gas would be an optimal solution, due the fact that hydrogen is naturally abundant and could be used without adding additional carbon into the carbon cycle. It is fairly easy to create through hydrolysis (the separation of water molecules), but would require a fuel system overhaul to be used in modern vehicles. The only emission from the hydrogen combustion process is water vapor. Methane, or natural gas, is a fuel that some vehicles already run on. Methane is a natural byproduct of anaerobic respiration (decomposition without oxygen) like that which occurs in landfills. If landfill or other waste is used to create methane, then it could be a viable and environmentally beneficial fuel, but not if it is harvested through fracking. Methanol is a fuel that is currently used in many racing vehicles because of better efficiency and performance abilities. Methanol can be distilled from wood, which could encourage manufacturers to plant and farm trees for production of this fuel. So long as regulations are put in place to prevent deforestation, this method could actually begin to reverse the effects of climate change with all of the additional trees being planted. Ethanol, most commonly distilled from corn in the United States, is a fuel source that is already in use across much of America. Most gasoline contains up to 10% ethanol from the pump. With some comparatively minor adjustments to the fuel delivery system, nearly any car can be retrofitted to run completely off of ethanol. These engines run cooler and are more efficient from a thermodynamic perspective, since less energy is lost to heat. The main issue these vehicles have is that they may have issues starting in the cold since ethanol has a higher flash point than gasoline and needs a higher temperature to begin to vaporize. The bottom line is that we need a fuel source that will not continue to introduce carbon into the atmosphere so that we can begin to tackle climate change before it’s too late. Electric cars are simply not that solution. The demands that their creation places on the environment greatly outweighs the benefit they serve with zero tailpipe emissions. There are many fuels for us to choose from that wouldn’t require everyone to get a new car and put current mechanics out of work. So while electric cars may be fascinating pieces of technology, they are not the future of transportation if we intend to have a future here. No new friends? Yes, new friends!